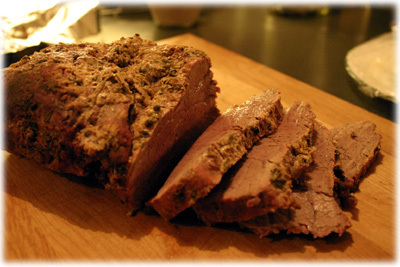 A beef tenderloin roast is going to be the most tender and lean cut of beef you'll ever find and it's perfect if you're looking to impress your guests. This tenderloin recipe uses a few tricks that keeps the beef from drying out, packs it with amazing flavors and gives it a nice "Sunday Supper" crispy crust. First trick is the rub, while it's simple to make it packs a lot of flavor. 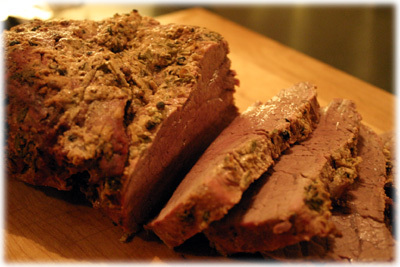 Combine some creamy dijon mustard with fresh thyme leaves and crushed peppercorns and make a paste that you'll cover over the entire beef tenderloin roast. 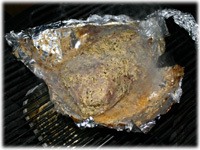 Secondly, we lock in this flavor by wrapping the roast in heavy duty aluminum foil for most of it's cooking time. Unwrap the roast when there's only about 15 minutes left to cook just to give the tenderloin a nice crust. This is a great recipe for your next family Sunday dinner and serves really well with these au gratin potatoes. 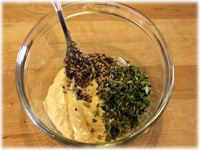 In a small bowl combine the mustard, thyme leaves and crushed peppercorns. 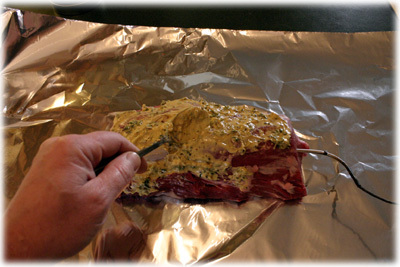 Lay the beef tenderloin on a sheet of heavy duty aluminum foil. 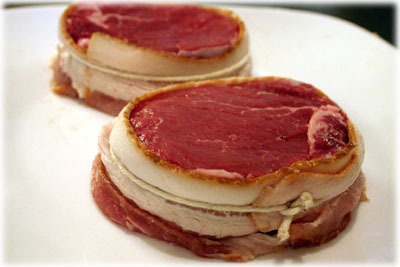 Insert a temperature probe into the center of the meat. Cover the entire roast with the mustard-thyme-pepper paste. 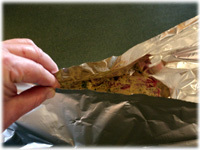 Completely seal the roast in the foil - make sure it's sealed well so all the juices stay inside while cooking. Ensure the cord for the temperature probe is accessible. Set up the BBQ or grill for indirect heat and preheat to 350F. When the BBQ has reached this temperature place an aluminum pan under the grate where the foil wrapped roast will be sitting to catch any drips. 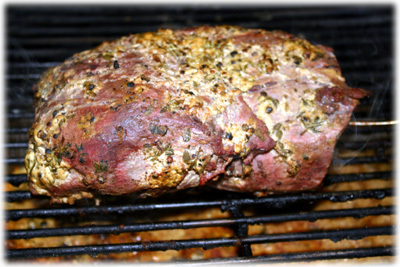 Place the roast on the grates, plug in the temperature probe to the remote thermometer and close the BBQ lid. 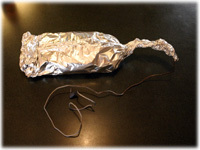 When the internal temperature of the roast has reached 120F remove the foil from the roast. Be careful as it will contain juices. Let the juices collect in the pan beneath the roast. Close the lid and let the roast form a nice exterior crust. Remove the roast when the internal temperature has reached 140F - 145F for medium. 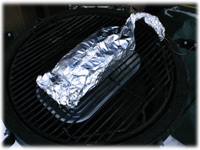 Cover with aluminum foil and let rest 10 minutes before carving.